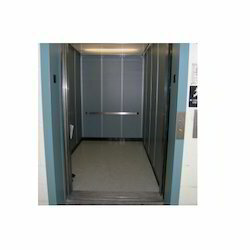 Our company is also engaged in manufacturing and supplying Hospital Lifts and Elevators. We offer these lifts which are manufactured with very high quality Steel and iron which are procured from very reliable vendors of the markets. These Hospital Elevators are better suited for taller buildings, since they are capable of much greater speeds and heights. 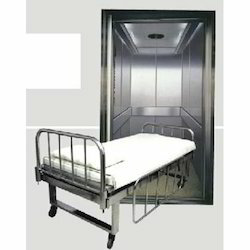 Our range of Hospital elevators are widely acclaimed for optimum performance and long service life. We bring forth for our clients, a wide range of Hospital Elevators, which is designed in varied sizes. Mainly used for carrying patients in hospitals, our range is spacious enough to accommodate various stretchers and patients. Available in various sizes and dimensions, these can be customized as per the client's specifications. Backed by state-of-art technology, we manufacture and supply a superior quality range of Hospital Lifts / Stretcher Lifts, which are available for hospital purposes. We offer these products with inch up and down control button in car as well as these are available with emergency control features in the domestic market. Our products are manufactured under the able guidance of our experienced professionals.